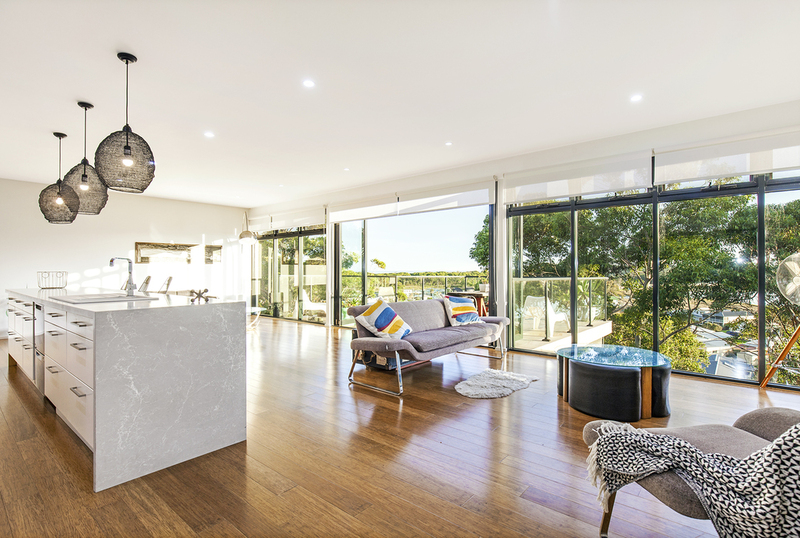 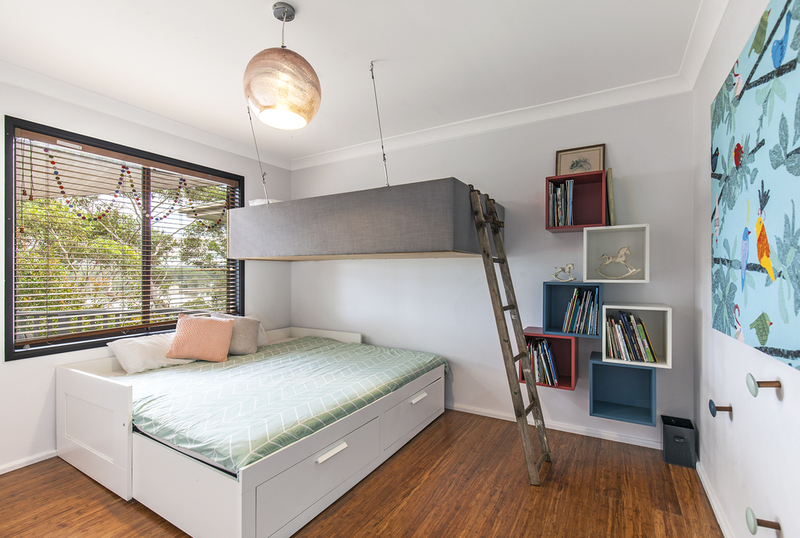 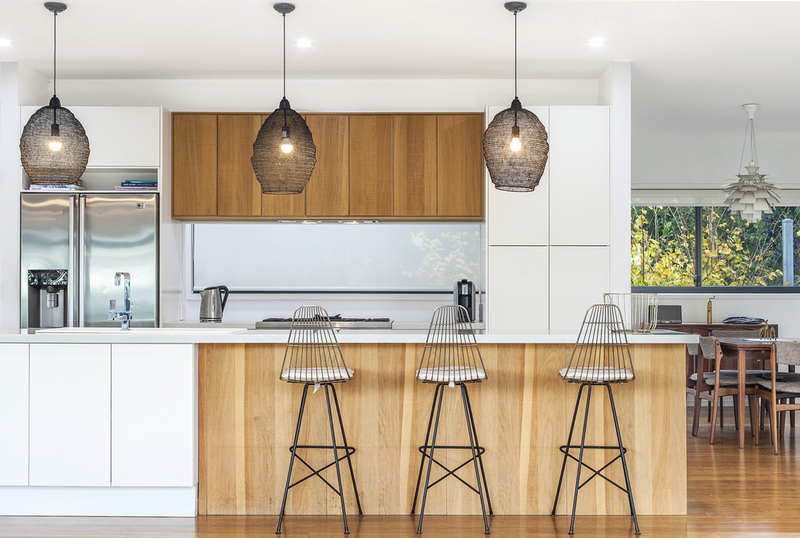 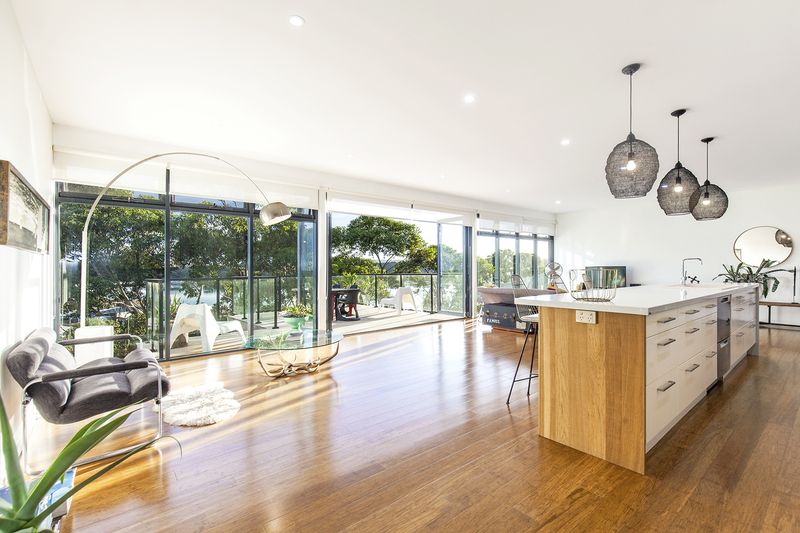 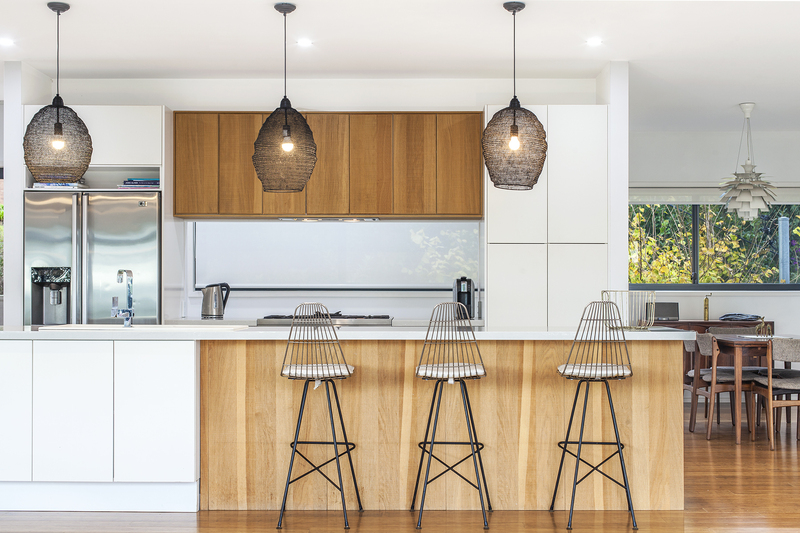 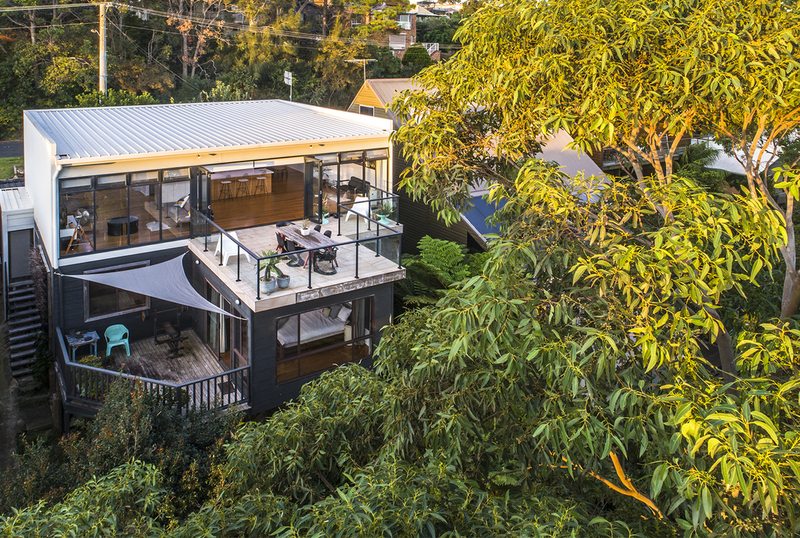 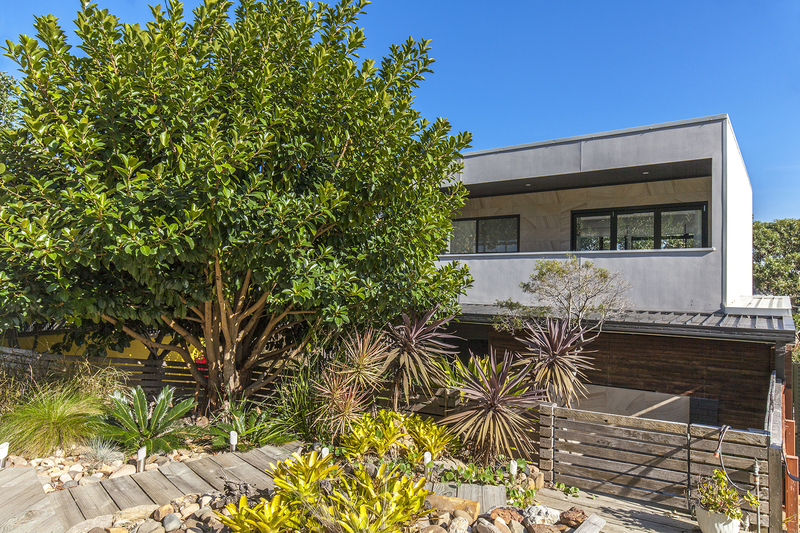 A gorgeous contemporary home tucked amongst the treetops on Canberra Crescent, with breathtaking views over Burrill Lake, the ocean to the east and the Budawang ranges to the west. The stylish landscaped garden welcomes you into a home which evokes a deep sense of relaxation and connection to our wonderful slice of paradise. 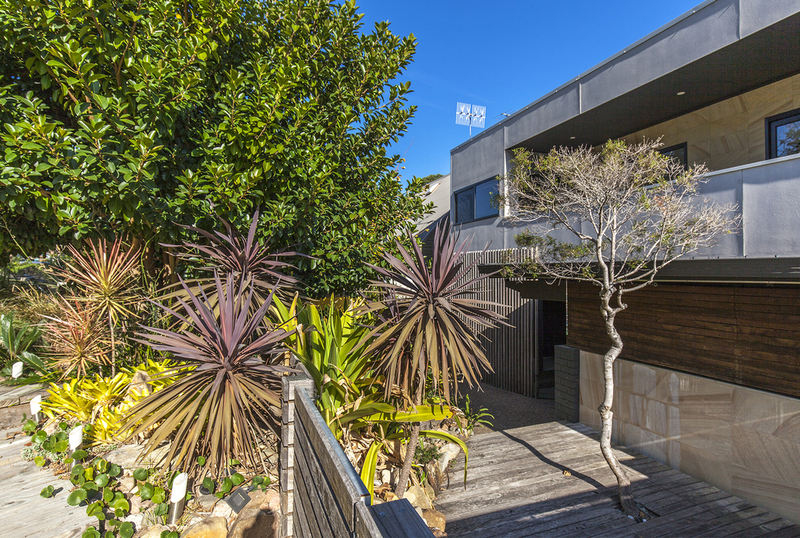 The entry level of the home features all the bedrooms which radiate from a central living area at the foot of the striking timber stairwell. 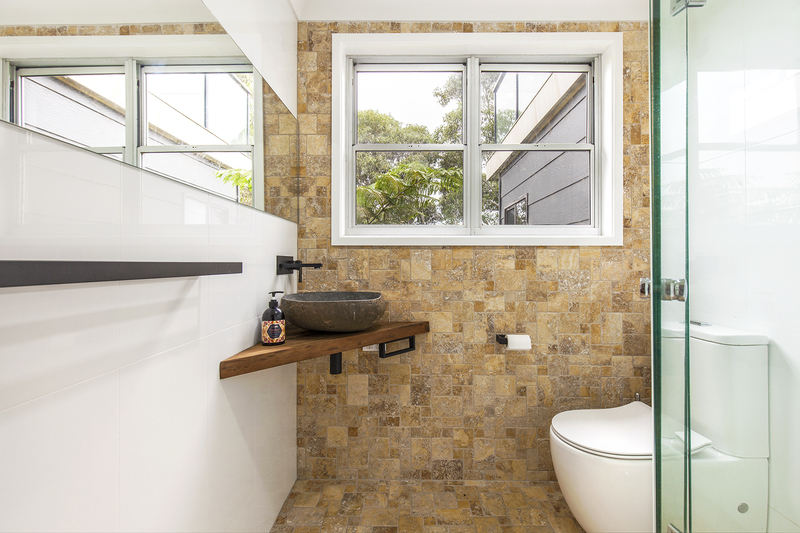 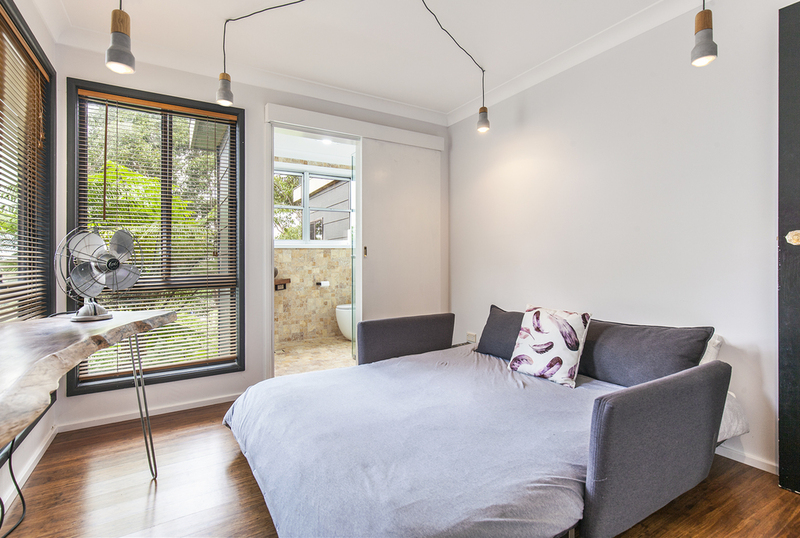 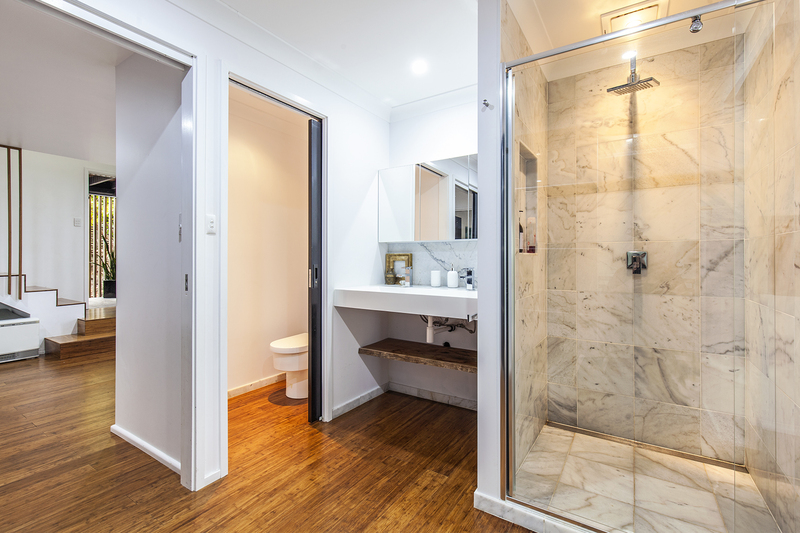 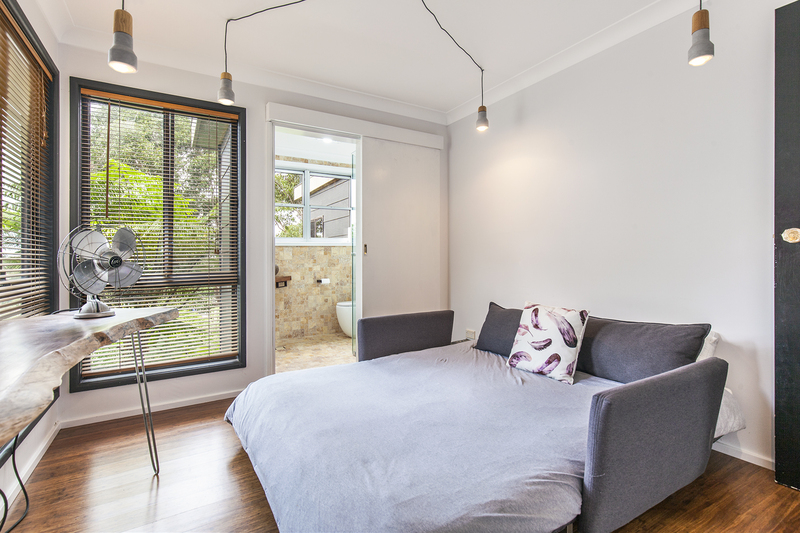 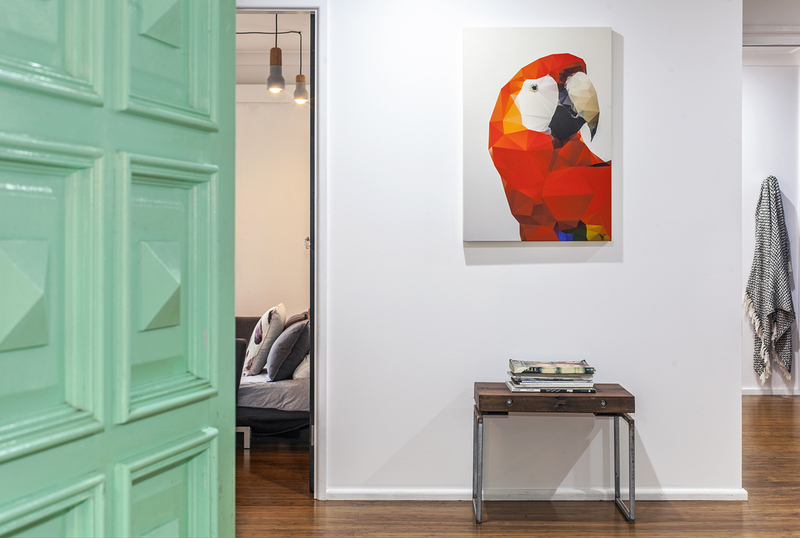 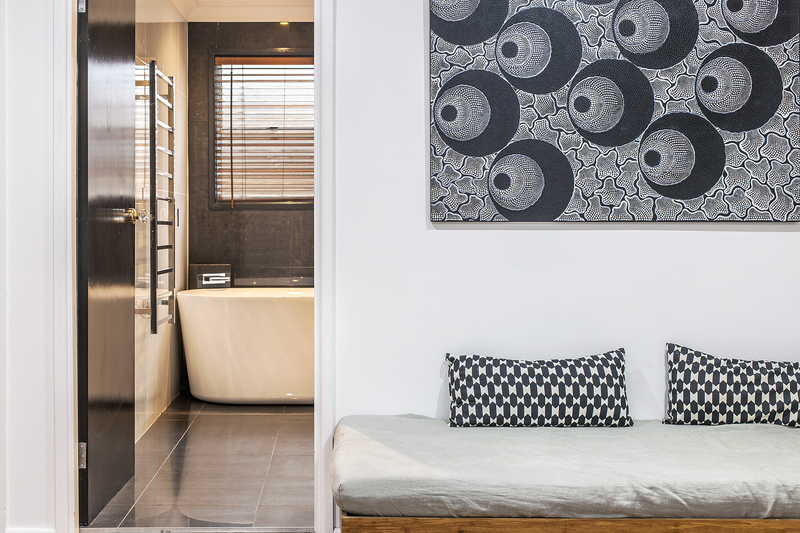 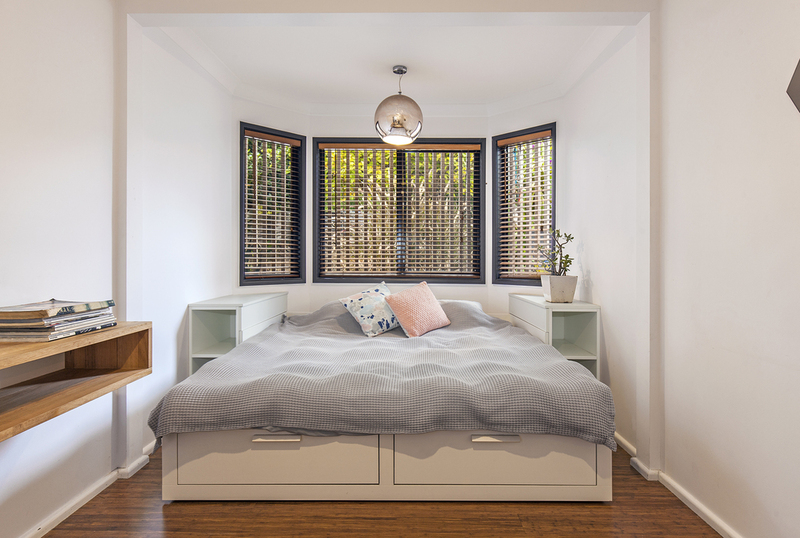 Two of the four bedrooms are en-suited, and the main bathroom is beautifully appointed. 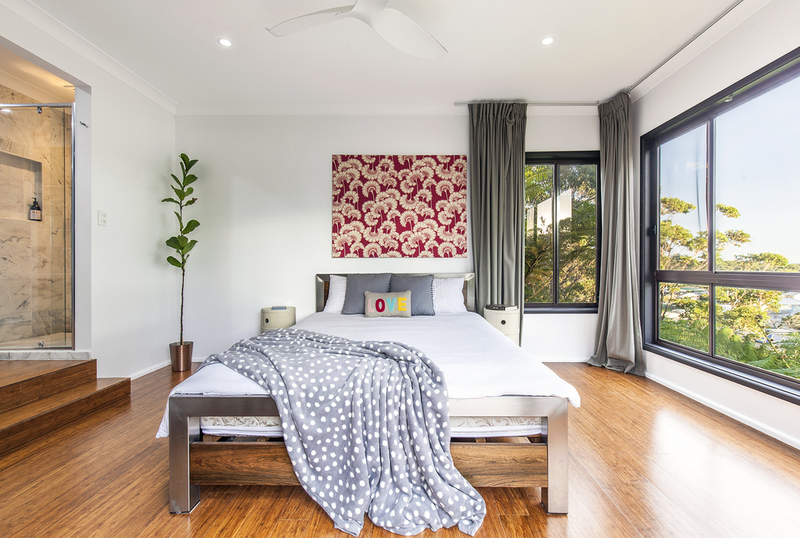 The massive windows of the master suite frame an ever-changing picture, and your private deck is a delightful place to escape and unwind. Upstairs you will find the centrepiece of this home, the spacious and light filled open plan lounge, kitchen and dining areas, with extra height ceilings, bamboo flooring and again, those breathtaking views. 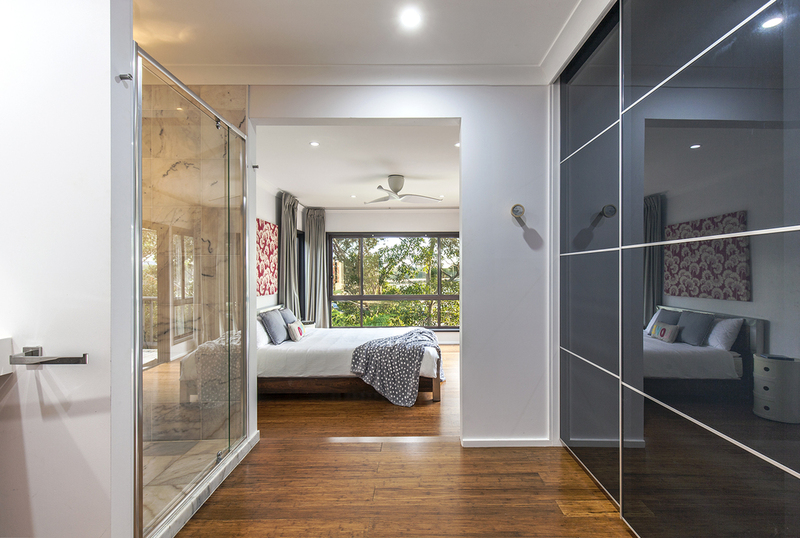 Glass stacker doors open the home onto both the front and rear decks. 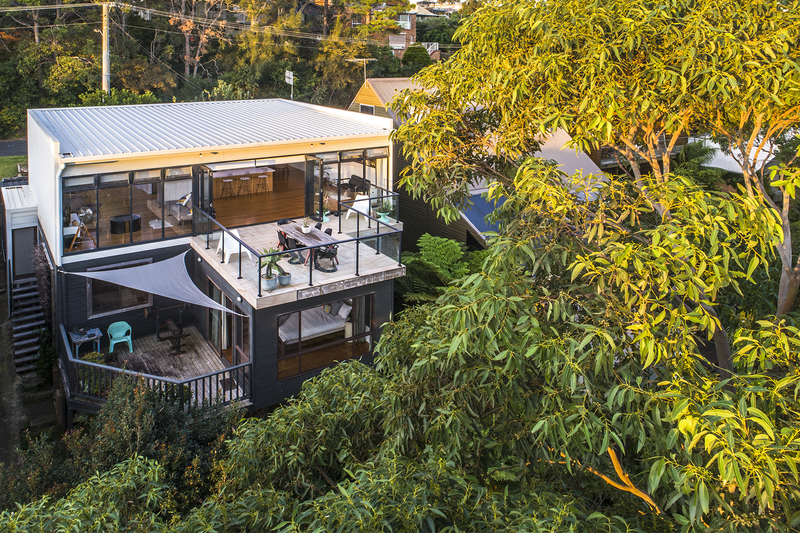 The front deck gives the impression of being suspended among the treetops and offers magnificent vistas over the lake, ocean and the mountains, - the sun setting behind Pigeon House Mt is just spectacular. The kitchen beckons the home chef with a huge island bench, Ceasar stone bench tops, quality appliances, and ample storage. 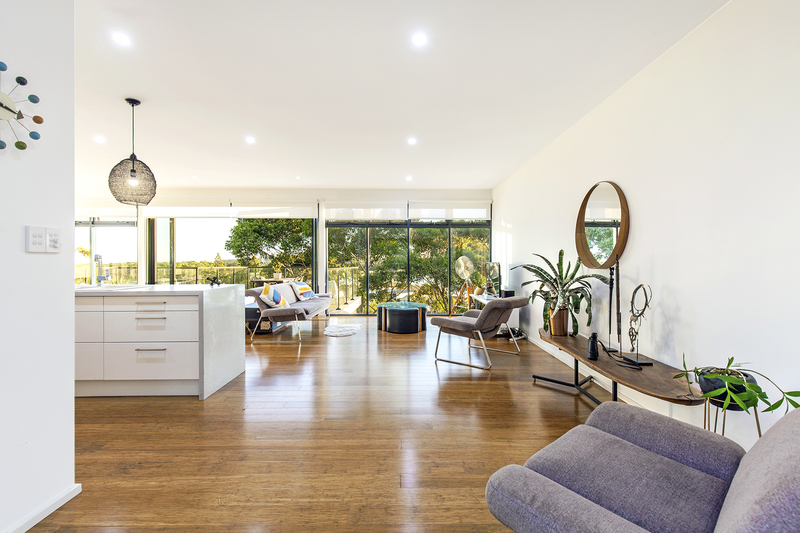 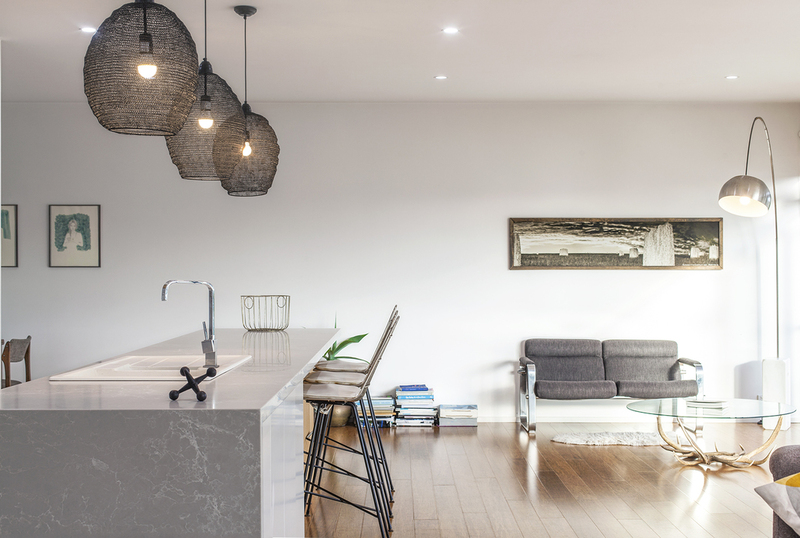 The open plan layout is just perfect for entertaining. 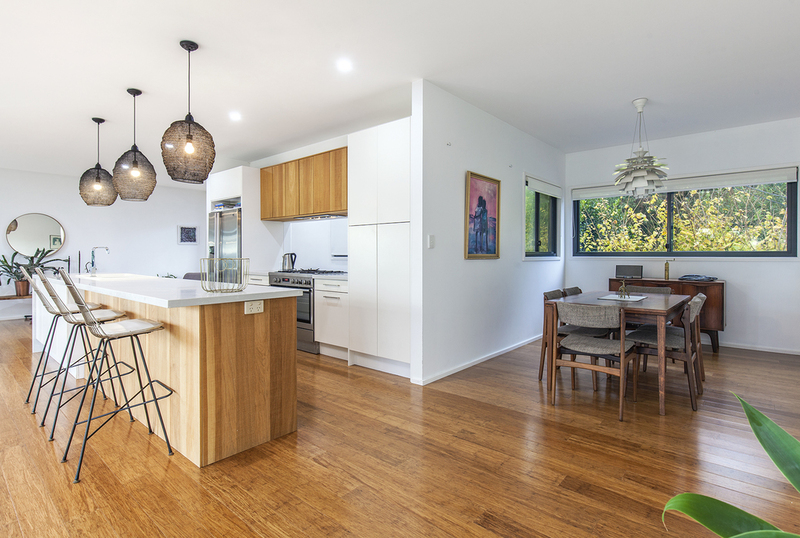 Canberra Crescent is quiet & private location, which will entice you to embrace a relaxed way of living, whether it be for holidays or permanent living in this truly unique home. 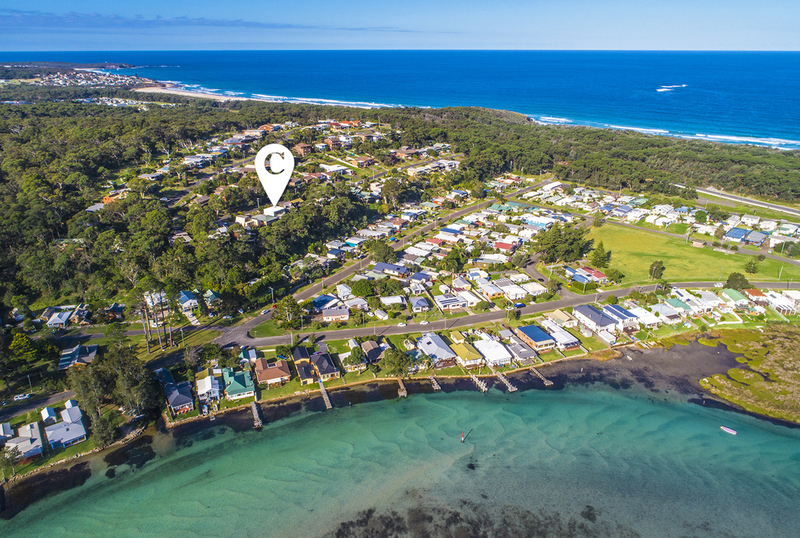 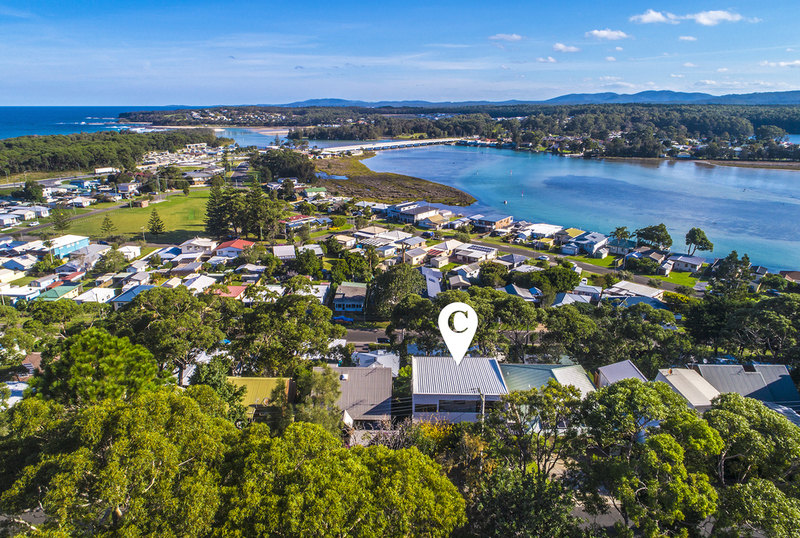 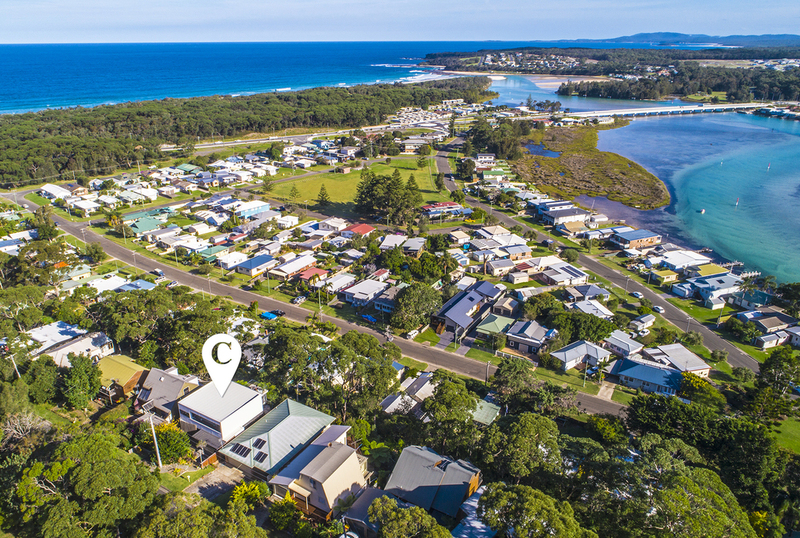 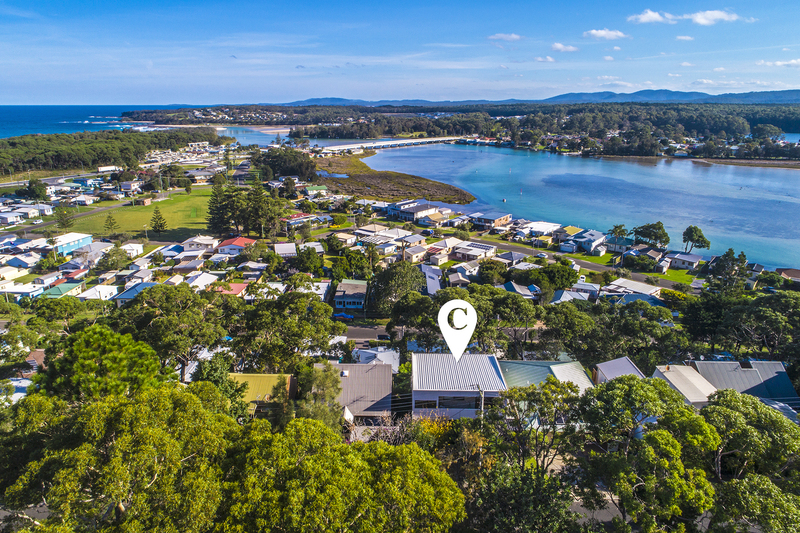 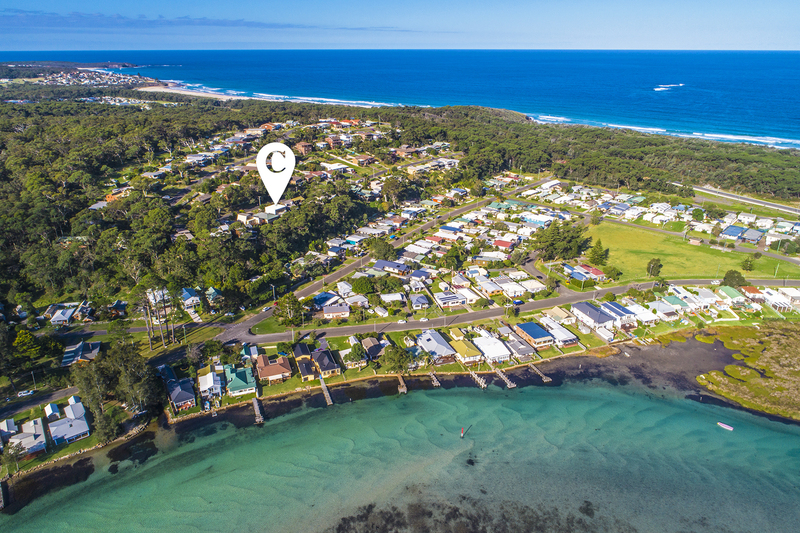 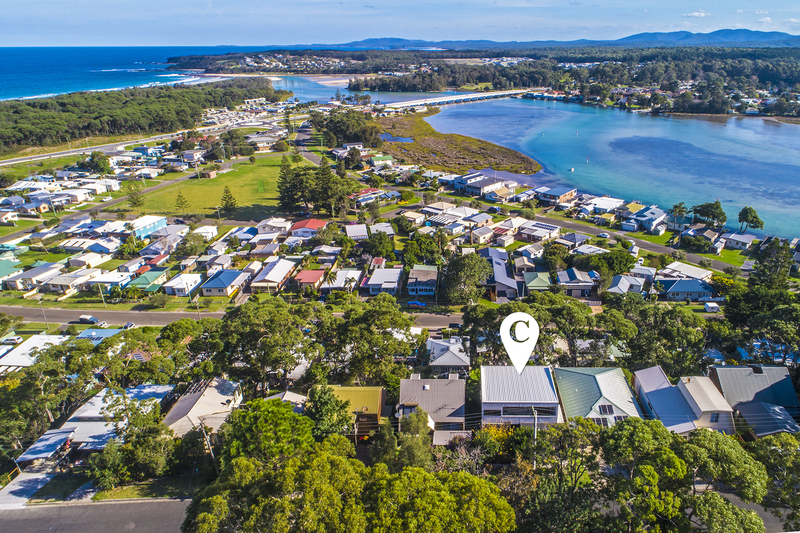 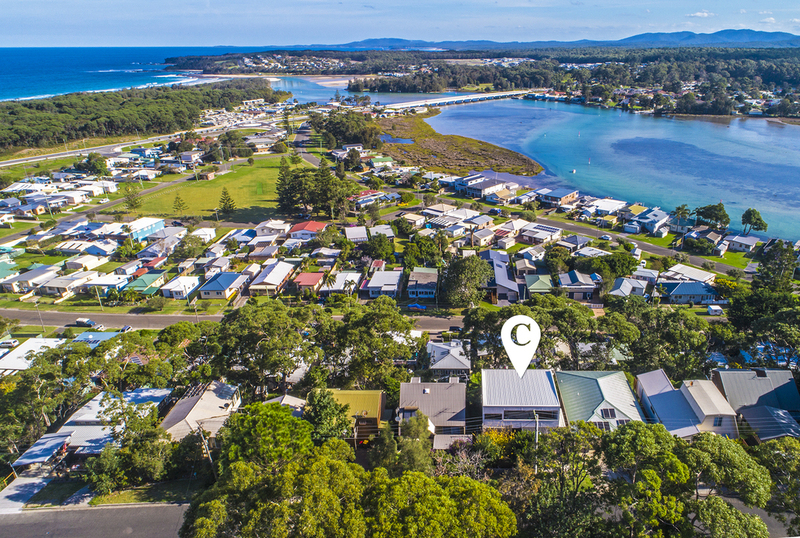 The beach and lake are within easy walking distance, as are the cafes and shops of Burrill Lake, for that morning paper and coffee, or perhaps fresh fish n chips to enjoy on your deck, as you watch the world go by.